The Empire State Building has been the main symbol of New York ever since it was completed during the height of the Depression in 1931. 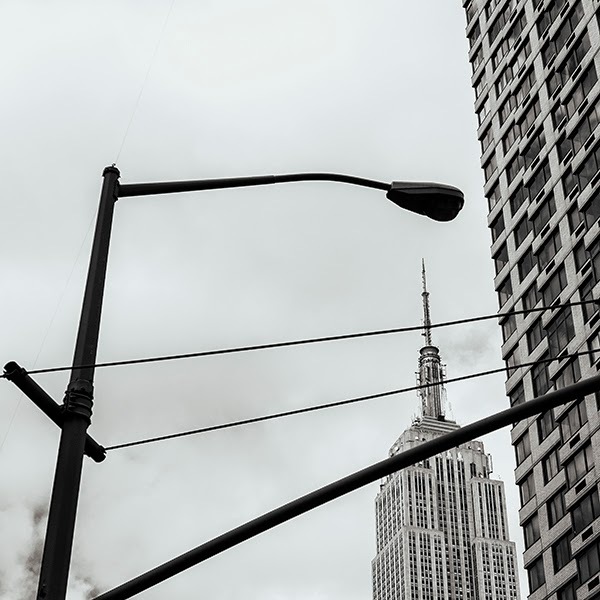 It sits on a major crossroad at 34th Street and Fifth Avenue in the middle of Manhattan and its spire can be seen from almost anywhere in the city providing a reference point and stabilizing comfort to those of us who life here. 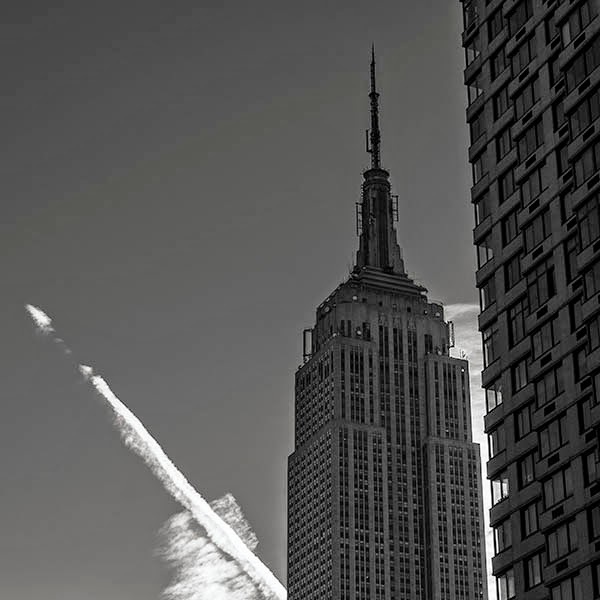 I did a limited edition of black and white prints of the Empire State Building from various perspectives throughout the city, but continue to find myself drawn back to it whenever I catch a side glimpse of it during my walks in the city. So I have begun a new series of images on the same theme, this time as platinum prints. Here are a few I did in just the past few days taken with my ever-ready Fuji X-T1 and 18-55mm lens. When the new Fuji 18-135mm becomes available I might be tempted to switch to it as my walk-around lens. It will only add 4 ounces to the weight and one extra inch to the length. There is something to be said about photographing the same subject over and over again and causing a concentration more on the composition than on the object itself. This photograph and the one below were taken from almost the same vantage point on two different days, yet they are completely different compositions of the same subject. A jet contrail provided a strong compositional line lasting only a few moments before evaporating. I had only enough time to capture a few exposures before it was gone.